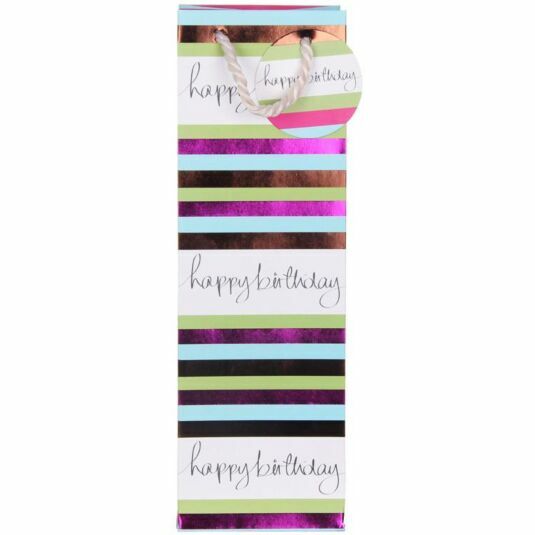 This tall gift bag is perfect for presenting bottles! The design features multi-coloured stripes in a palette of liquorice-themed pinks, greens, browns, blues and cream. 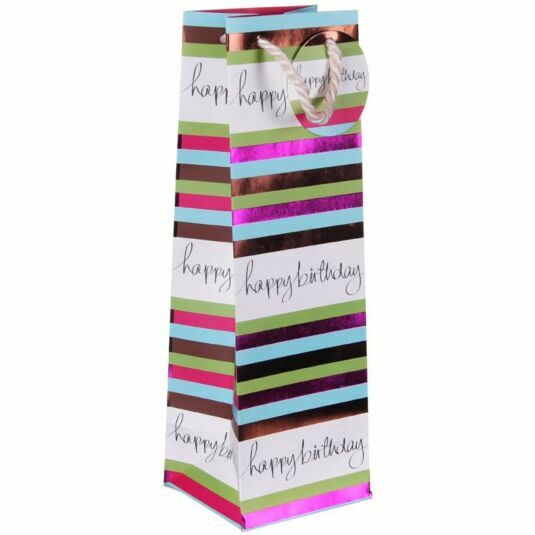 The words happy birthday, in a handwriting script, are printed across the bag in bands. A matching label is attached to the shiny mocha-coloured rope handle.